Cavitation is the evolution of vapor and/or gas bubbles within liquid in the regions of low pressure in the flow, or due to heating that raises the vapor saturation pressure. The sudden appearance and subsequent collapse of bubbles may cause large oscillations of pressure within incompressible fluid that in turn result in severe mechanical damage to the surrounding structures. Cavitation can cause damage to turbines and pipes, erode concrete from the dam spillways, etc. 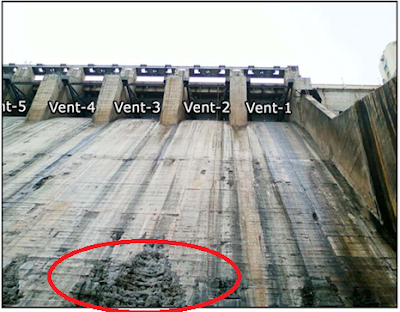 Figure 1 shows the erosion of concrete near the bottom of the spillway in a dam. Concrete used in dams is typically high strength but cavitation can still erode it. In high pressure dies casting, die erosion can occur where fast movement of the molten alloy through constrictions and curves in the die results in rapid pressure drops and lead to cavitation. The resulting vapor bubbles can lead to porosity in the final casting, or worse, lead to damage of the die, contaminating the casting and leading to early die failure. Cavitation is sometimes intentionally induced for certain industrial applications like water purification by breaking down the pollutants and organic molecules, joining hydrophobic chemicals, destroying kidney stones through shock waves created due to implosion of cavitation bubbles, increasing turbulence for mixing, etc. Therefore, it is critical to understand where cavitation is likely to occur, and how intense it is likely to become. Since initiating and visualizing cavitation experimentally is difficult and can be potentially damaging, it is important to be able to simulate the process. The Cavitation model has been successfully used to simulate cavitation in thermal bubble jets and MEMS devices. In the new version, the model has been upgraded for even better accuracy. FLOW-3D v11.1 and FLOW-3D Cast v4.1 provide a better estimate of the location and amount of cavitation in the computational domain. Users have the choice to choose between Simplified model and Empirical model. The former is controlled by a user-defined characteristic time for nucleation of bubbles, while in the latter the nucleation of bubble is controlled by the by local turbulence. Opening of the actual cavitation voids can be controlled by selecting Passive model (voids are not opened) or Active model (voids are opened). Passive model is best for simulations where the brief appearance of small bubbles is expected, while the active model is best for cases where larger cavitation regions are expected that will significantly affect the flow field. A new variable called Cavitation gas volume fraction has been added to the model and can be used to visualize cavitation. Simulation 1 shows a constricting nozzle. The animation shows the evolution of cavitation bubbles demonstrating a highly transient, oscillatory behavior. The cavitation volume fraction is plotted to visualize the onset of cavitation in the initially continuous liquid. Simulation 2 shows cavitation within a venturi with an entry velocity of 8m/s, a convergent slope of 18°, and a divergent slope of 8°. Again, the transient behavior of cavitation is well modeled, with the model predicting a cavitation cycle period of 17.4ms compared with the experimental result of 22ms.